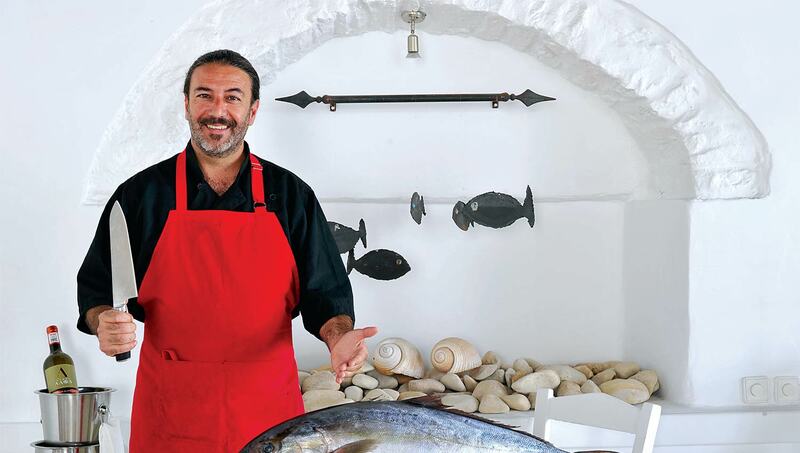 In the picturesque port of Naousa, “Sigi Ikthios”, with our master chef Yiannis, and the overall supervision of owner Yiannis Zoumis and team, offers you excellent gastronomic delicacies, healthy selections, prepared with local, wherever possible, and organically grown produce. The many light yet tasty creations and large variety of sea and land dishes available is sure to please. Enjoy your meal sitting beside the small traditional fishing boats under the natural light of the Greek sunset. With our knowledge and experience in bringing you authentic island cuisine, fresh seafood, the natural beauty of the landscape, our friendly staff looks forward to serving you.